Have you been looking for a compact hybrid that can save you money on fuel near Prince Edward Island (PEI)? If so, head over to Charlottetown Toyota in Charlottetown, Prince Edward Island (PEI). At our dealership, we house a vast collection of Toyotas in stock for motorists to test drive including the Pre-Owned Toyota Prius. As one of Canada’s premier Toyota dealerships, we have served PEI for a number of years with vehicles at our best price. Visit Charlottetown Toyota at 1 Superior Crescent and test drive a used Prius today. A Certified Pre-Owned Toyota is unlike any other pre-owned vehicle on the market today. With a Certified Pre-Owned Prius, you’re getting a vehicle that’s backed by a warranty and one that’s been through an in-depth checklist. Every Prius is less than six-model years old and has less than 140,000-km on it. Before going on sale, our group of factory-trained professionals will complete a 174-point inspection on the vehicle and restore any required components with authentic OEM parts. Each vehicle also comes with a clean title and CARFAX Report. Unlike other used vehicles on the market, every Certified Pre-Owned Prius has a lengthy warranty. Each hybrid comes with a 12-month/20,000-km comprehensive warranty that covers roadside assistance coverage and a powertrain warranty. The Prius also comes with a 7-day/1,500-km exchange privilege, the first oil change at no charge and a free tank of gas. A Certified Pre-Owned Prius is a vehicle that you can drive on a routine basis without worrying about something going wrong. At Charlottetown Toyota, we’re recognized for our ability to get motorists a great price on a used Toyota. At our dealership, we have a great finance team that is recognized for their ability to get motorists an incredible rate on a vehicle. If you’re concerned about your less than stellar credit score, our finance team will work with you to secure an outstanding loan on a vehicle that works for you. Prior to paying our dealership a visit, explore our website and finish a finance application. With this helpful tool and our experienced staff, you’ll receive a hassle-free experience. When it comes to getting into a compact hybrid that can save you money on fuel, check out a Pre-Owned Toyota Prius. 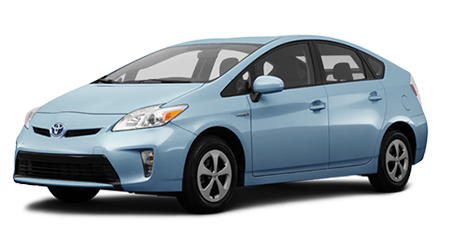 A used Prius has the same fuel efficiency, interior features and modern styling as a new model, but is at an affordable price. Stop by Charlottetown Toyota in Charlottetown, Prince Edward Island (PEI), at 1 Superior Crescent and discover a pre-owned Prius today.